Furnishing any home is not as easy as many people think, but it’s not too hard as well! Got confused? Don’t be, when you just head the markets for purchasing some furniture without any prior analysis of the space and décor, it actually becomes a difficult task for you to select the just correct one. On the other hand, if you do a proper study of the space, its existing décor, style and your personal taste things, you can easily get the most appropriate furniture unit for your home. Likewise, when you desire to purchase dining room chairs, don’t worry there are also plenty of options available for you to make an apt selection. Dining room, being the most happening places of your home needs to be furnished as well as decorate in the most significant way. What all you need to do is make a clear view in your mind of the existing décor of your dining room as well as what sort of chairs you want to incorporate. Once you have an idea about the chairs that you want for your dining table, you can go through the same way, in order to make some of the excellent selection. When you determine to purchase few of the stylish yet functional dining chairs for your dining room, make sure you consider all the factors and then step on the roads for making the best selection. While you are searching for the appropriate furniture store that will offer you with some of the exclusive chairs, don’t just avoid seeing the largest furniture collection in the UK at FurnitureInFashion. Just go through the various dining room furniture products offered by them, in order to know more about the latest trends and styles. 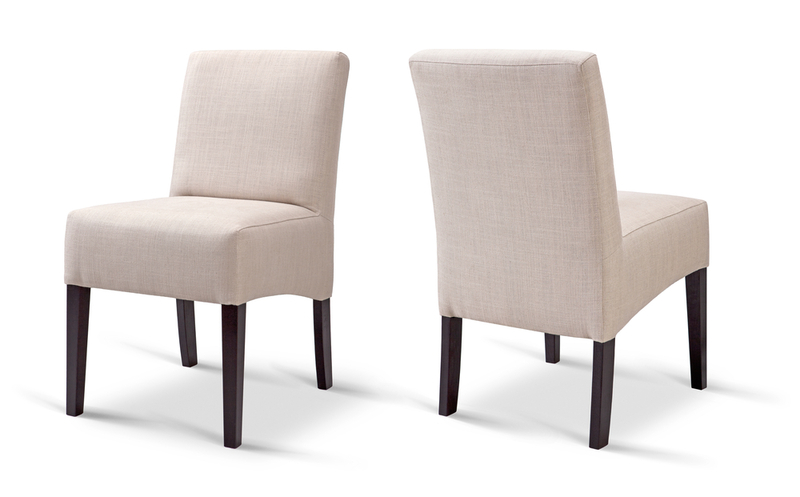 Dining chairs available at FurntiureInFashion are just stunning; it offers a wide range of chairs to accomplish all your needs and requirements regarding a dining room chair. Just visit the store located in the UK or browse through their website for getting an idea on what styles, quality and range of furniture they offer. It has the largest selection of dining room chairs that are just ideal for fulfilling every homeowner’s taste as well as décor needs. You just need to think of desire of some kind of chair for your dining room; you will definitely get to see the same after some research. Dining chairs made of different materials, using different styles, designs, colors, shapes, sizes and finish are very popular these days. For more detailing, you can go through each and every type of chair offered by FurnitureInFashion and then come to a specific decision on what will exactly suit your dining table as well as dining room, along with your own personal taste as well as style.